It’s been unclear if Mark Ruffalo’s Bruce Banner would hulk out for next year’s Captain America: Civil War. Ruffalo himself weighed in earlier in the summer, indicating that he would return. 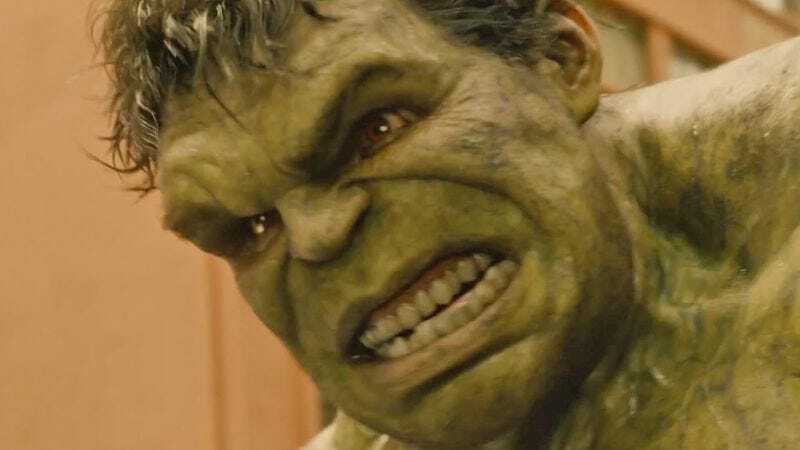 Now Coming Soon reports that Ruffalo is revising Hulk’s status, while making it clear that while it’s for the best that Hulk is out, no, you may not know why he will be taking a siesta. Civil War, directed by Anthony and Joe Russo, is said to roughly follow the Marvel Comics storyline of the same name, with Cap and Iron Man at loggerheads over whether superhumans should be tagged and monitored. It will feature most of the other Avengers, including Black Widow, Hawkeye, Falcon, War Machine, The Vision, and Scarlet Witch. It will also be introducing some non-Avengers characters, including Black Panther, Sharon Carter, General Ross, and the recently furloughed Spider-Man, who is presumably there to spin a web, catch Ant-Man, and eat him.